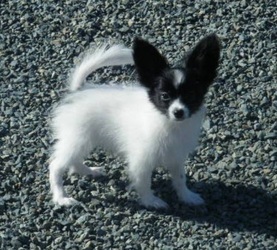 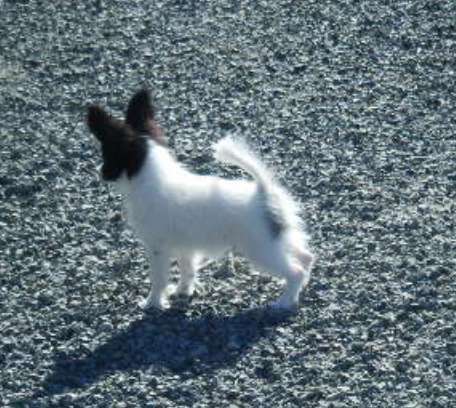 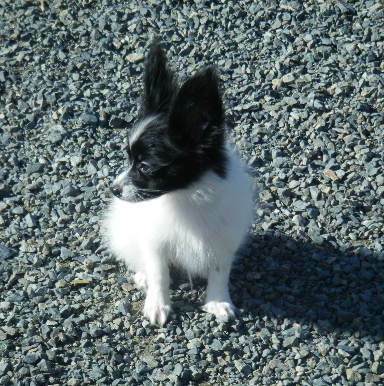 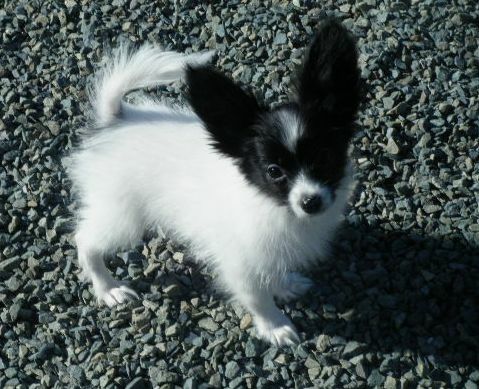 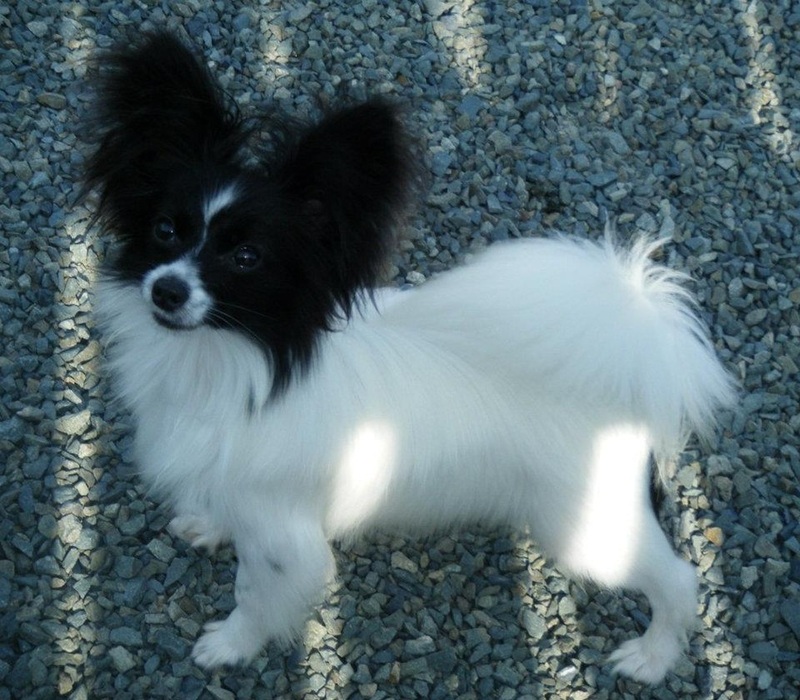 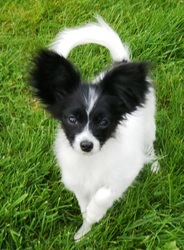 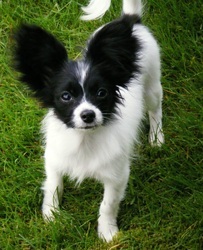 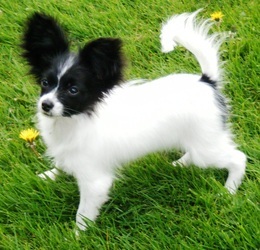 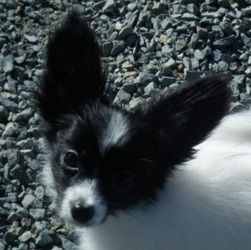 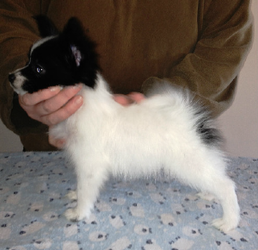 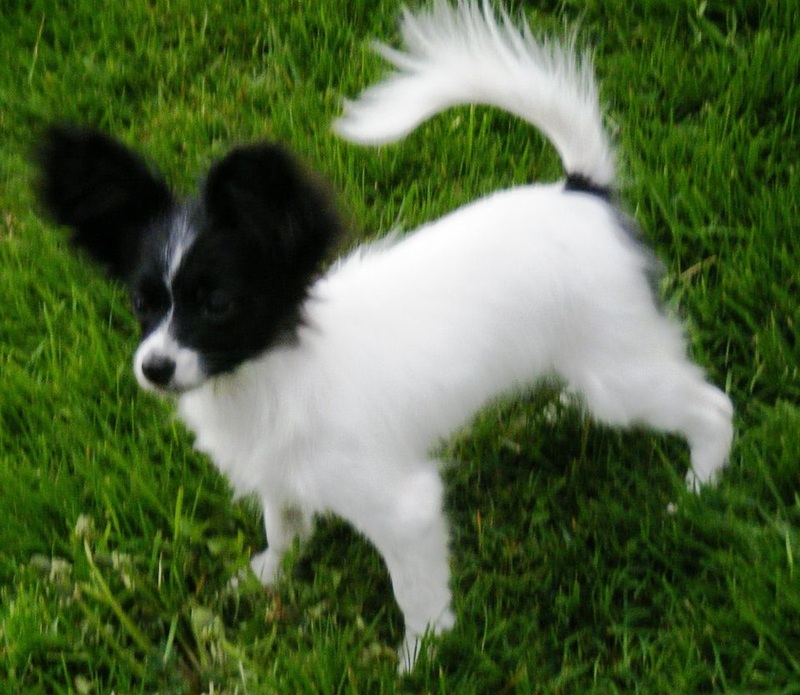 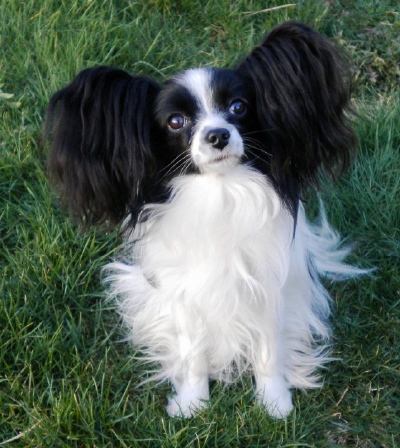 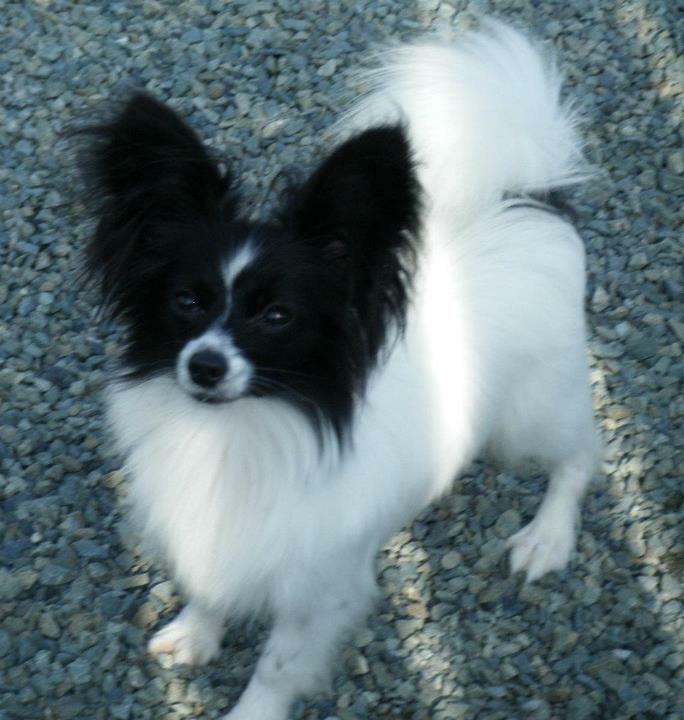 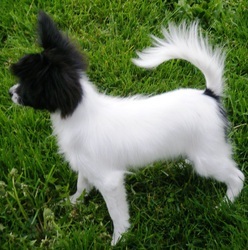 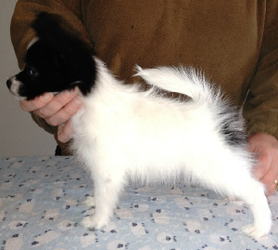 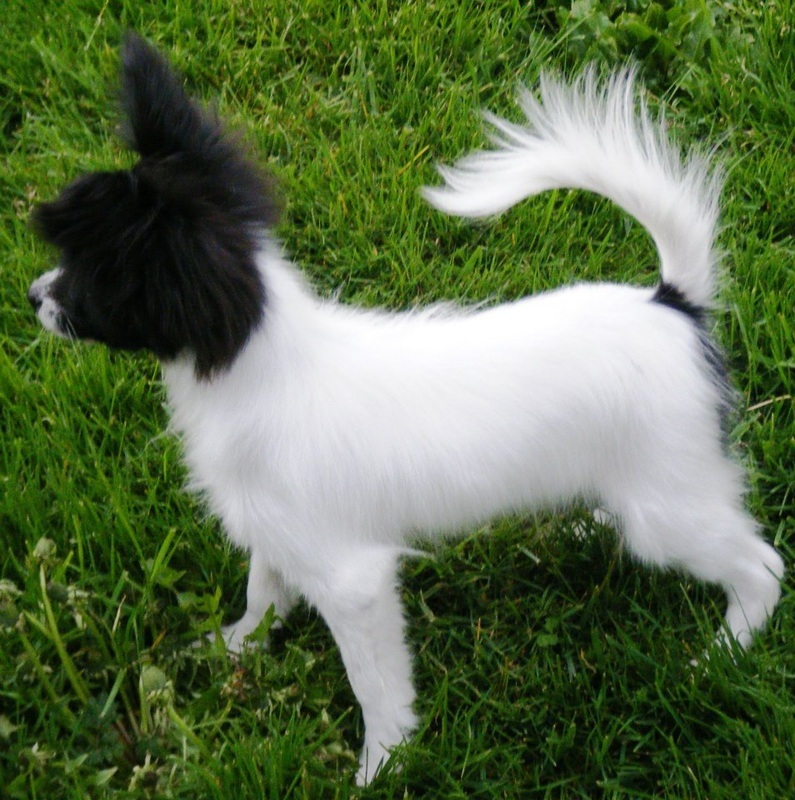 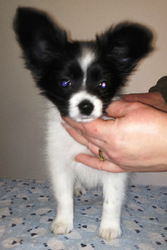 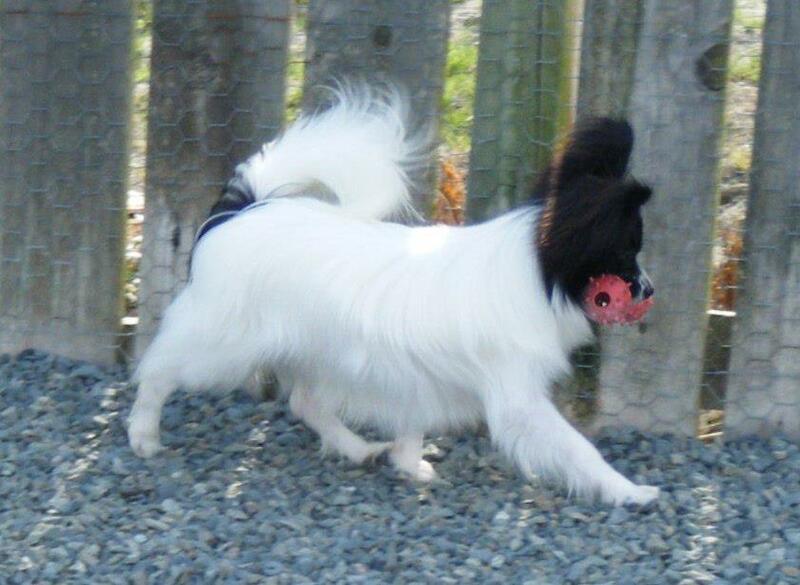 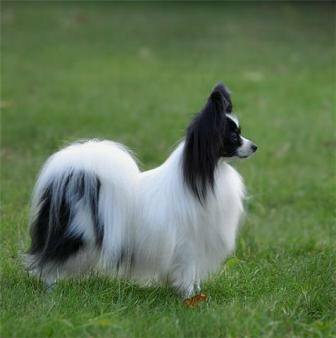 Sire: BIS Can/Am/Pol Ch. 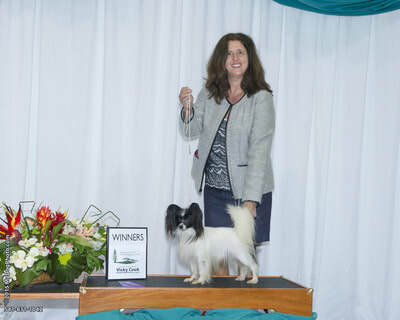 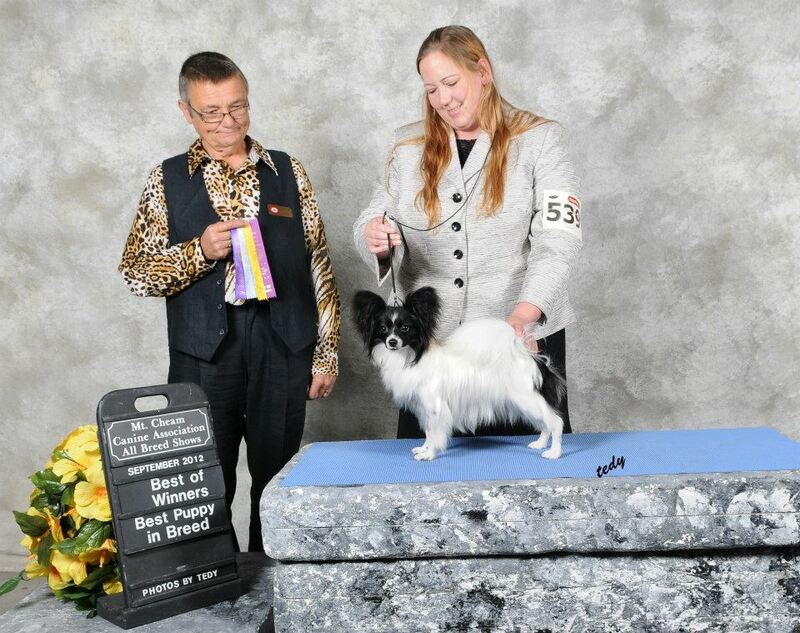 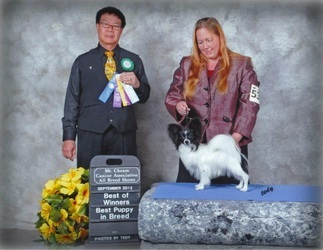 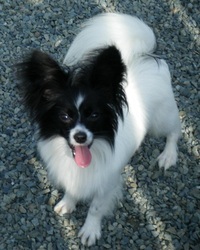 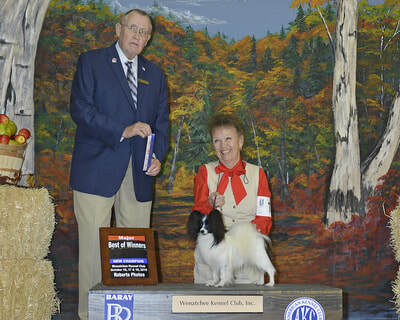 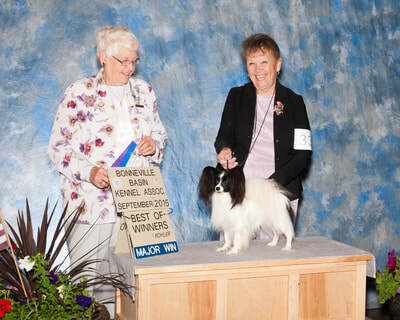 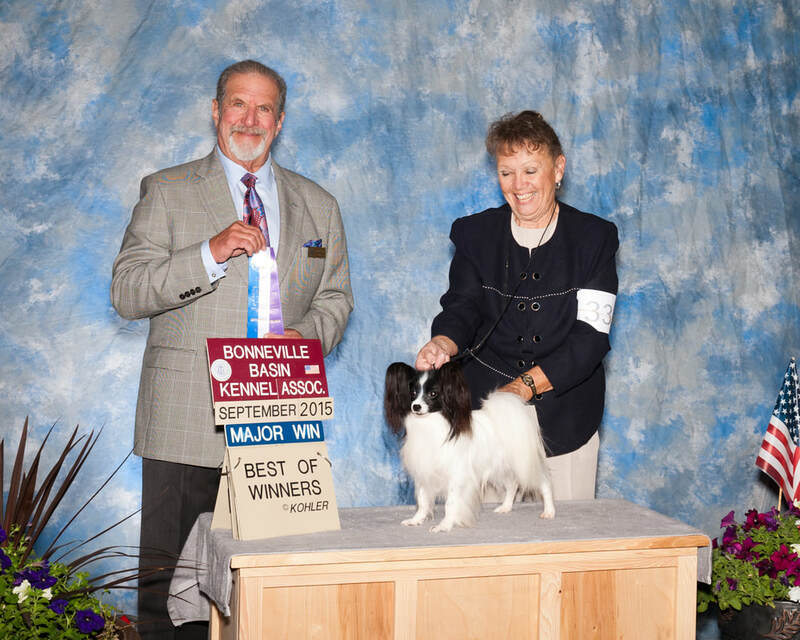 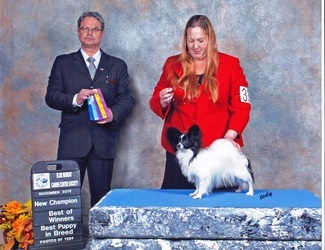 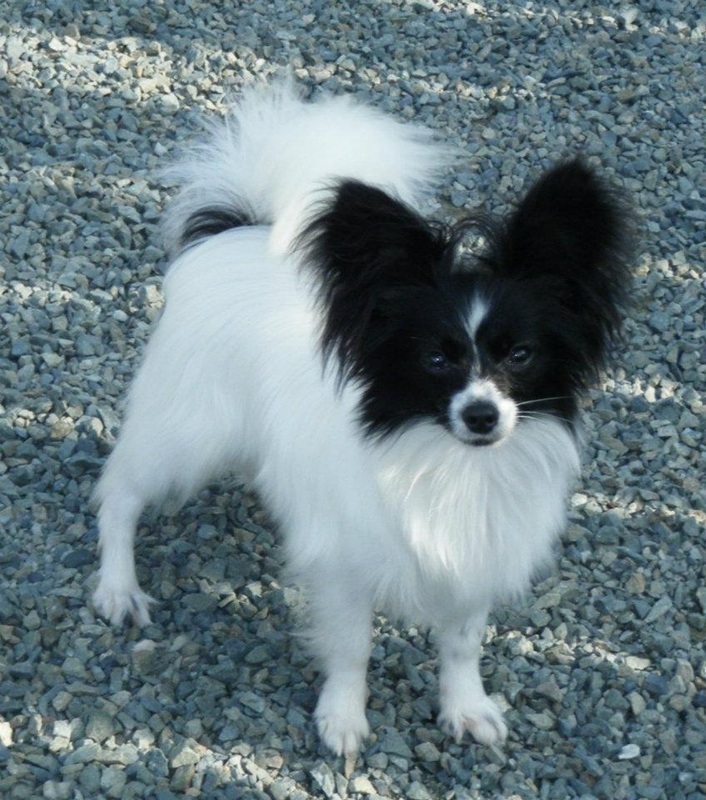 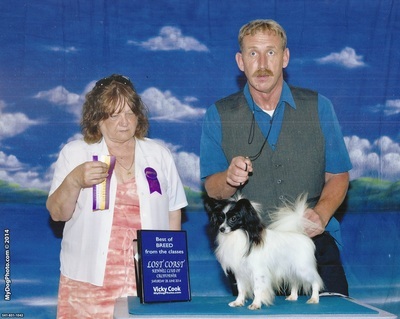 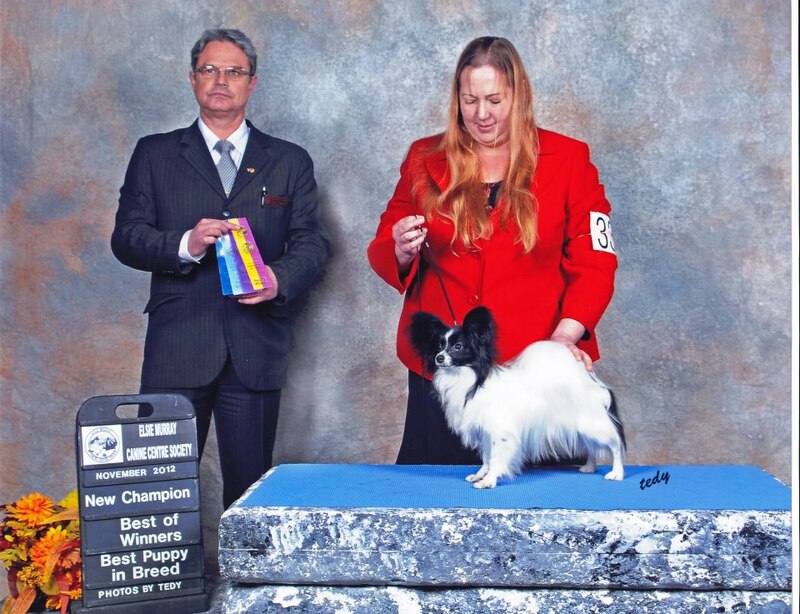 First Enchanted Love Forussi "Bravo"
Dam: Canada Champion Passionpaps Luck O The Irish "Lucky"
Hero Growing up in Canada with Denise Reid at Passion Paps then becoming a Canadian Champion and continues to be shown in the AKC show ring and obtains his AKC CHAMPIONSHIP with Bonnie Primus of Arbetchiem Papillons. 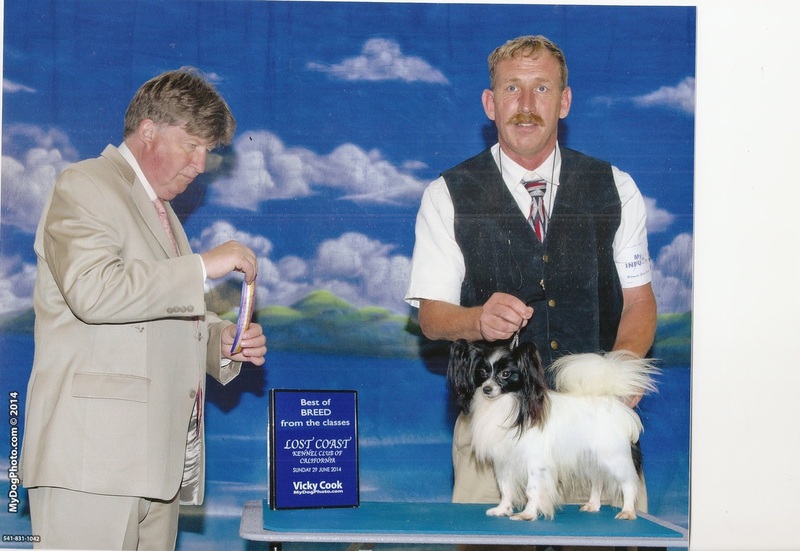 Thank you to Bill, for handling Hero also.